Since accepting the Faith, I had always wanted to pioneer overseas and did take sincere and serious efforts. I was looking for opportunities and prayed very hard with all my heart. But I witnessed a miracle upon return to Malaysia. In those yearly years, I was in the United Teachings Service (UTS). Under the scheme there was no way for a teacher from government service to be reinstated once the said teacher had tendered resignation. In my case it was one of the greatest miracles, as upon presenting my case I was accepted back into service, under special concern shown by my headmaster and the Director of Education of Negeri Sembilan state. They were the very persons who attended my farewell party when I was leaving the teaching service for Bahá’í pioneering. They were fully aware that I was leaving for the promotion of the Faith. I just could not figure out how they accepted me back. Here is where I called to remembrance the invincible power of Bahá’u’lláh. However, there was only one minor set-back. Due to such a small gap in my service, I was not qualified for my full pension. But I was happy to have been reinstated that guaranteed me some livelihood that continued until my retirement..
That was not the end of my dream. After having failed to pioneer in 1970, my desire to serve overseas only increased further and was still burning more intensely within me. In 1971 I was fortunate to have attended the Oceanic Conference in Singapore. I organized a chartered bus from Bahau to enable many believers to attend this conference. At the Oceanic Conference there was a call for pioneering. This time I volunteered to pioneer to Africa, and I made a promise to Hand of the Cause of God Mr. Enoch Olinga who was the official representative of the Universal House of Justice at the Oceanic Conference. I was waiting for an opportunity to set my feet in the African soil. But the opportunity never came by immediately. While waiting for the path to open, I made short trips, each trip lasting a month to Bangla Desh, South India, Myanmar and Cambodia. I made short trips, each trip lasting a month to Bangladesh. Political upheaval had started the day we landed. Hand of the Cause of God Dr. Muhajir too arrived the same day. For ten days we all were stranded in the National Centre. Dr. Muhajir had to leave to his next destination. There was no sign of letting- up of political violence. I can remember Dr. Muhajir chanting the Tablet of Ahmad on the tenth night. Bahá’u’lláh answered his prayer. The next day, the curfew was lifted and he made his way to the airport. Vast extensive travel teaching was undertaken in Bangla Desh. Visited communities in and around Rajshahi, Sylhat, Mymensingh, Jessore, Kulna, Chittagong and many other villages. Visitors o Myanmar could not stay more than a week in the country. Using Thailand as a base I made two trips to Myanmar. A business man offered his car with a driver to visit and meet the Baha’is in Burma. It made my journey easy and comfortable. Visiting Abdul Baha Village in Daidanaw was an unforgettable experience, as the resting place of the martyred Hand of the Cause Musthaffa Rumi is here. This whole village population had accepted the faith and their steadfastness is amazing. 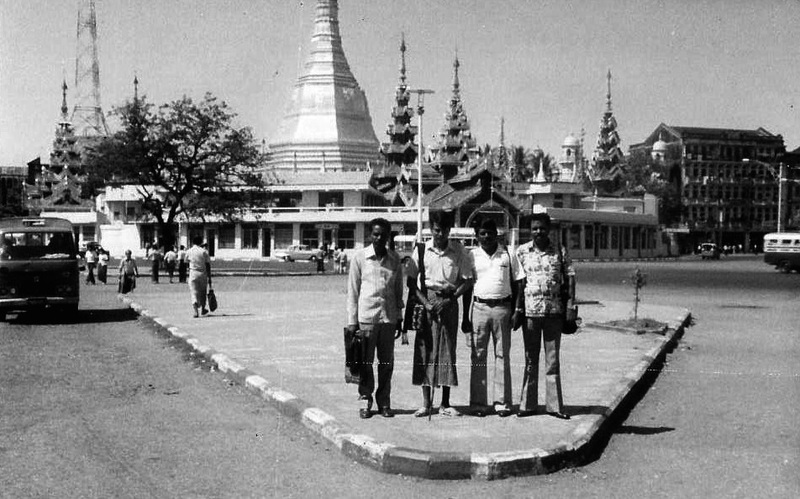 My visits to Yangon and Mandalay were a teaching experience and I learnt a great deal from the dedicated Burmese Baha’is. I serves as a volunteer at the Bahá’í House of Worship in New Delhi for a period of 3 months with unpaid leave. That was a great experience, guiding, teaching and meeting many other volunteers. It was winter and the chilly weather was hard on me but nothing compared to the joy of serving Bahá’u’lláh. The promise I made to the Hand of the Cause of God at the Oceanic Conference in Singapore in 1971 was coming for fulfillment. In 1972 Hand of the Cause of God encouraged the Malaysian Bahais to go to West Africa to fulfill the remaining goals of the Nine Year Plan. At that time I could not go. But in 1978, I took no pay leave for six months and combined another month with my December school holidays and started the journey. When Sathia Narayan (Arun Balaji), Isaac Decruz and I landed at the Heathrow airport, we were detained by the immigration authorities for 4 days. Although we had all the relevant documents, the authorities were suspicious that we might stay back in London to seek jobs. We faced problems after problems. My route was changed to Kenya and finally landed in Dar-es-Salam airport in Tanzania. We read on the wall of the detention camp a Baha’i quote “The earth is one country and Mankind its Citizens”. I wondered if anyone else was detained like us previously! Fortunately, Isabel Sabri came and managed us get into to Tanzania. At the Julies Nyerere International Airport –Dar Es Salaam, the secretary of NSA of Tanzania Mr. Nuduke came to our rescue and took us to the National Centre. What a relief!! Every day, Isaac and I made plans to meet with secondary school teachers, nurses, professionals and other organizations and lavishly shared our knowledge on the Faith. A month later Isaac left for West Africa and I was alone. Soon two young girls one from USA and the other from Canada joined me the teaching activities. Ganasa Murthy joined me for a brief period. We teamed up very well and the intensity Baha’i activities increased. Among the enquirers was Hizzaya Hissani Mwani, a young Tanzanian graduate teacher in a large secondary school in Dar Es Salaam. When looking for a book to give a talk at the school assembly the previous day, he came across this book “ Paris Talks” in his school library. After reading it within the night, he was looking for the National Bahá’í centre. He found after some difficulties with other Bahais who were busy with the convention. Ganasa Murthi and I invited this young graduate teacher aside and spoke about the Faith. A few days later he accepted the Faith and actively taught the Faith to others. Soon he resigned from his teaching and dedicated full-time Baha’i teaching around the country. Some years later, I was told that he was appointed as a Counselor in Tanzania and later for South Americas and Central Africa. From Tanzania, I was scheduled to travel teach in Malawi for the next three months. I travelled to a small town Chitipa in Malawi . It is an untouched area for the Faith mainly due to northernmost town in the country. The truck I was traveling fell into a river while crossing the wooded bridge. Fortunately, the river was dry. Some were injured. Circumstances forced me to return to Chitipa town and that delayed my journey for a week until the bridge was repaired over the gravel road. I contacted all the heads of departments and whoever approachable, conveyed the message of Bahá’u’lláh. One of them was the secretary of the province to whom I was in constant touch while my stay there. Some years later, when Malawi was expanding towards Northern region, this secretary remembered the teachings of the Faith and remembered when I was forced to delay my onward journey. It appeared that this high-ranking officer gave a lot of assistance whenever the Baha’is went on a teaching trip. Bahá’u’lláh works in a mysterious way. Lilongwe, is the capital town were the Baha’i National office was located. The following day after my arrival was the Independence Day of Malawi, and the town was beautifully decorated. Mr. Fred Loke, head of a village, his wife Suzanne and I were traveling in a car that wrongly entered into the area of the palace. We were blocked on suspicion that an Asian, an American and two Malawians were up to some political mischief. Drama unfolded further. We were put into separate, over-crowded, smelly and filthy prison cells. It was uncomfortable but I remembered His days during my days.. The next afternoon the Chief of the Malawian police interrogated and found that we were innocent visitors and he apologized for our wrongful imprisonment. As a mark of apology he invited us for dinner at his residence. We took the opportunity to give him the Faith. He was very appreciative and requested us to teach the Faith to his police personnel. We kept ourselves busy teaching the Faith to the police officers from the ranks and file. It was a pleasant stay in the Centre, cared by the the late Mr. Fred Loke and his wife Suzanne. Both were the pillars of the Faith. They planned my onward teaching and consolidating trips through out the country. The local Baha’is followed me walking long distances along the village paths, singing all along the way until we reach our targeted area and conveyed the message of Bahá’u’lláh. The villagers will gather and sit on the grass and listen to the new message. Being predominantly Christians, they were more interested hearing on the return of Christ. 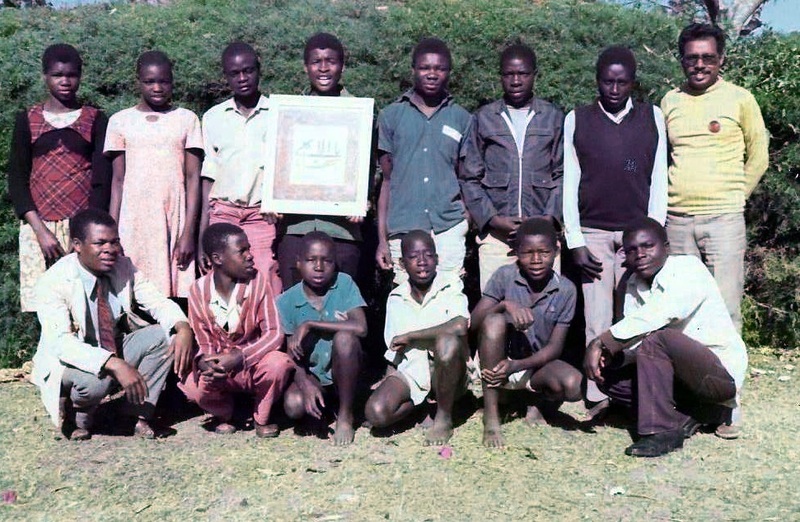 The Teaching Institute at Chickwawe village was were a nine day Spiritualisation course was held for a selected youth group. Many other places like Chiradzullo, Mulanje and Chikwawe were on my teaching and consolidation schedule. 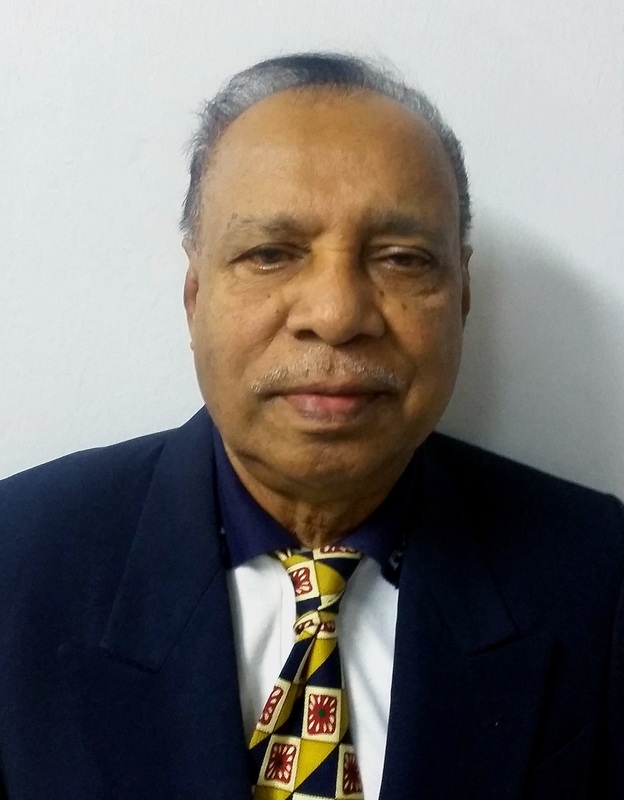 Before concluding my Africa travel teaching, I was instructed by the NSA of Malaysia to stop over at Seychelles to conduct a nine day spiritualization class to a selected group of Baha’is. Landed in Victoria in Mahe island, seychelles. I organized the spiritualization course on the selected jubilant young and old. Counselor Mrs. Bahia Winkler was of great assistance and she shared out her deep knowledge and experience related to the Faith. The hospitality given me by Mr. and Mrs. Antonio Gopal was beyond expectation. In 1991, I took an optional retirement which was approved reluctantly and pioneered to Papua New Guinea in the same year as a self-supporting pioneer. It was hard to get jobs but I continued travel teaching to many parts of the terrain country. After three years, I left the country and worked in a college in Kuala Lumpur and Johore Bharu. I once again left for New Guinea on 29 June 1996 after securing a job. My wife and I pioneered until the year 2000. I visited many provinces and was able to assist along with other professional Baha’is who were working with the University of Technology in Lae. A new lease of life was given to continue running the Baha’i co-educational secondary school which was preparing drop –out students to appear for the Government examinations. I played a major role running the school. When a call came for home-front pioneering, we moved to Wewak, another province where we were needed. Activities increased tremendously. A most hazardous trip by boat along lake Chombri infested with deadly crocodiles and malaria mosquitoes would easily take minimum a month to come back. One needs to take a 45 gallon tank of fuel and a large speed boat to make the trip successful. In such trips one gets the opportunity to teach to the head-men and the villagers convincing them of the return of Christ. It would take a few nights to convince them but the end results were amazing, bringing in hundreds of believers, and sometimes the whole village accepting the faith. Declarations increased many folds. My wife and I are ever thankful to our late Counselor Sirus Naraqi for guiding us whenever we were physically and mentally downtrodden. Under the Five Year Plan Papua New Guinea was not able to complete their last goal of opening to the Faith in an gold mining Island called Lihir. It was in the mid pacific and access was difficult and costly. Under the direction of the NSA of PNG, in 1996 my wife and I volunteered to fulfill the last remaining goal of the Five Year Plan. Bahá’u’lláh witnessed our difficulties and He made it possible for us to serve. I was offered a position as a Manager, and my wife as a Chief Chef in the only hotel run by an Australian gold mining company. It was a beautiful island visited by international staff and frequented by several plane loads of tourists. We were busy teaching them. They heard for the first time about the Baha’i Faith through us. We left PNG in 2000 for good and left for Cambodia 2001. My wife worked as a trainer for cooks in a five star hotel and I worked for a Non-Governmental organization as a consultant. My position gave me a lot of opportunities to travel all over the country, meeting professionals and encouraging Baha’i activities. I was able to assist, edit and publish for a publishing company a 976 glossy colored page book named “Cambodia in the Early 21st Century” now a referral book for the Institutions of higher learning, University students and the Government organizations. Another pioneer from Sri Langka Mr.Iqbal Saleh currently chairman of NSA of Sri Lanka was my co-worker publishing this book. Baha’i religion is well mentioned in the book, illustrated by photographs. My wife left Cambodia for home in 2001, while I continued working with an NGO for a year. I was then offered a job as Electoral Advisor with United Nations during my first posting to Afghanistan from 2002 to 2005. Along with other International Baha’i professionals, we were able to participate all Baha’i activities within ourselves. We were discouraged to meet the local Baha’is for some valid reasons. Introducing the Faith to the other Internationals was encouraged. Fortnightly, in Kabul the small group of Baha’is arranged prayer day every fortnightly, whereby all the religious groups were encouraged to participate. Towards the end of 2005 I was posted to East Timor where I was able to serve to the utmost and encouraged the local Baha’i communities in the teaching efforts and organizing Baha’i activities. Amarjit Singh was another of our UN co-worker who teamed up with me to serve the Faith. Almost every fortnight I traveled down 300 KM to Dili where the National Centre is and participated in their Baha’i activities. 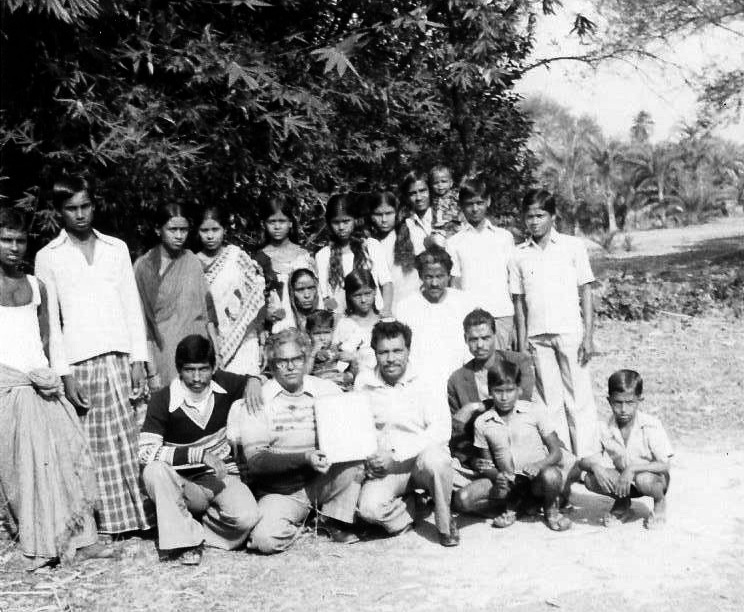 Being a young community, the local believers depended much on visiting Bahais. I was then posted to Nepal where I was able to visit the Baha’i communities and took part in many of their activities, especially at the Katmandu National Baha’i centre. Very vibrant youths and elderly Bahais were steadfast in the Faith. My wife had an opportunity for a month and contacted high ranking officials through her contacts. My last posting with UN was in South Sudan for 3 years where even though the activities were on a restricted level, we were able to contribute to the various Bahai funds. The International Baha’is were isolated. Communication meeting person to person was extremely impossible due to the hazardous situation including the kidnapping of international workers. We encouraged communicating with each other via internet. I returned home 2011 tired but with full satisfaction that my wife and I served the Faith with our utmost best we could in those hazardous conditions. I prayed very hard to pioneer in some country, but Baha’ullah enabled me to serve Him in several countries. Our prayers are always answered, but in His own ways.